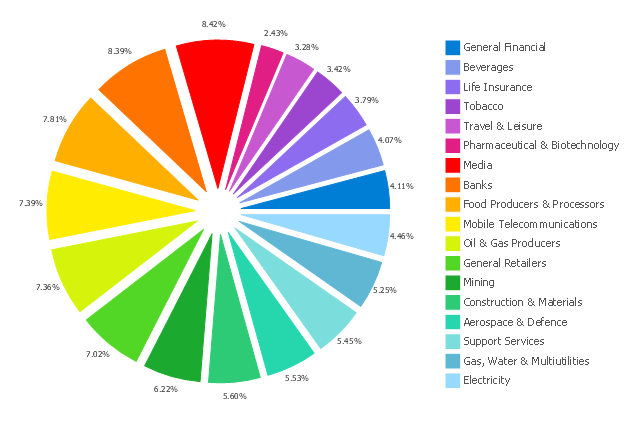 This exploded pie chart sample shows the economic sector weightings. It was designed on the base of the Wikimedia Commons file: Badpie.png [commons.wikimedia.org/wiki/File:Badpie.png]. This image is available under the Creative Commons Attribution-ShareAlike 3.0 Unported License [creativecommons.org/licenses/by-sa/3.0/ ].